Central Recovery Press, 9781942094395, 260pp. A unique narrative on a unique time offering solace to people nearing retirement. 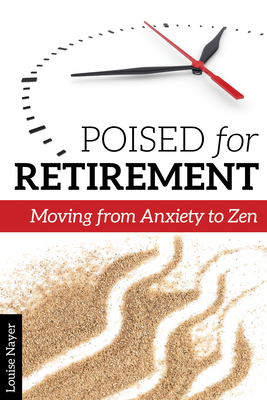 Poised for Retirement is not your parents' retirement guide, nor is it a financial planning guide; rather, it's the relatable story of an ordinary working woman reflecting on her life and career. Written with humor, compassion, and poignancy, Nayer's poetic prose is also inspirational. Easy to implement visualizations and breathing and sleep techniques are offered at the end of each chapter. Readers will gain insight and wisdom as the author learns to create a new and healthier life during this important transition. A timely topic for Baby Boomers (born between 1946 - 1962), representing twenty percent of the US population by 2029. Every month more than a quarter-million Americans turn sixty-five. Includes interviews with a diverse group of experts and laypeople who share their experiences as they face the same decision point in their lives. Louise Nayer, is a writer and educator. She was a professor of English and creative writing for over twenty-seven years at City College of San Francisco. Presently, she is part of the San Francisco Grotto Writer's Collective and teaches workshops at OLLI UC Berkeley. Her book Burned: A Memoir was an Oprah Great Read and won the 2011 Wisconsin Library Association Award. She lives in San Francisco, California. Louise Nayer is a writer and educator. She is a native New Yorker, who has lived in San Francisco since 1974. She attended the University of Wisconsin, Madison and graduated with a BA in Comparative Literature. Later she received a Master of Arts in Humanities from State University of New York (SUNY) at Buffalo. She received six California Arts council grants and was a professor of English and creative writing for over twenty-seven years at City College of San Francisco. Presently, she is part of the San Francisco Grotto Writer's Collective and teaches workshops at OLLI UC Berkeley and at the San Francisco Writer's Grotto. Her book Burned: A Memoir was an Oprah Great Read, won the 2011 Wisconsin Library Association Award, and a finalist for the USA Book News Award.